Below are comments made by colleagues that nominated Chuck for Educator of the Year. "Chuck always has his student’s best interests in mind and strives to give them the best experiences possible. Sullivan has many students that have never, and may never get the chance to leave Franklin County. 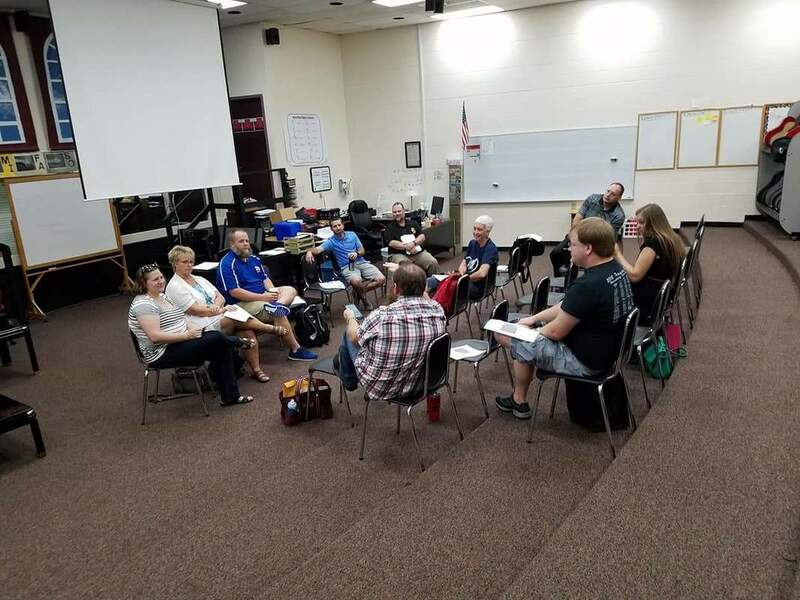 Chuck is always seeking opportunities that will allow his students to experience more of the world through music... Every decision that is made, from marching show design to proposed schedule changes always starts with 'what will be best for the kids?' 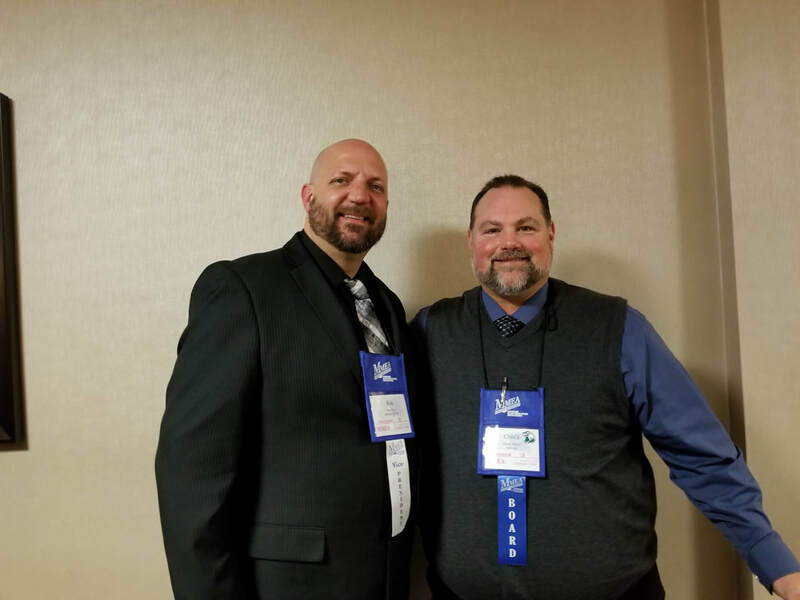 "
"Chuck has made a huge impact on the band program in Sullivan since he has been the band director... Chuck's bands have consistently improved year after year which is evident by the results he has been getting on the marching band field and in the concert hall. Having the Sullivan Band represent their school and our district at MMEA is a true example his commitment to his kids and the music education they are receiving at Sullivan. I personally value having Chuck as a colleague and as a resource in music education." Do you know a Music Educator that is doing a fantastic job and would like them to be recognized for their contributions to music education? Consider nominating them for the East Central Music Educator of the Year! Nominations can be filled out at this link and should include information on why you believe your nominee is deserving of the award. The President will share with the Board and VP's and they will vote on the award winner. The purpose of this survey is to help the programs in our district utilize facts and figures to advocate for improvements in their own programs. The results of this survey will be saved and freely distributed to all participating directors. If you have multiple buildings in your district, please make sure that someone from each building replies to the survey as this will ensure our figures are complete and accurate. Thank you for your participation. Thank you to all of the educators that came out to Union High School to take part in the 2nd Annual ECD Summer PD event. This free event featured learning and collaboration and some wonderful meals provided by our sponsors. 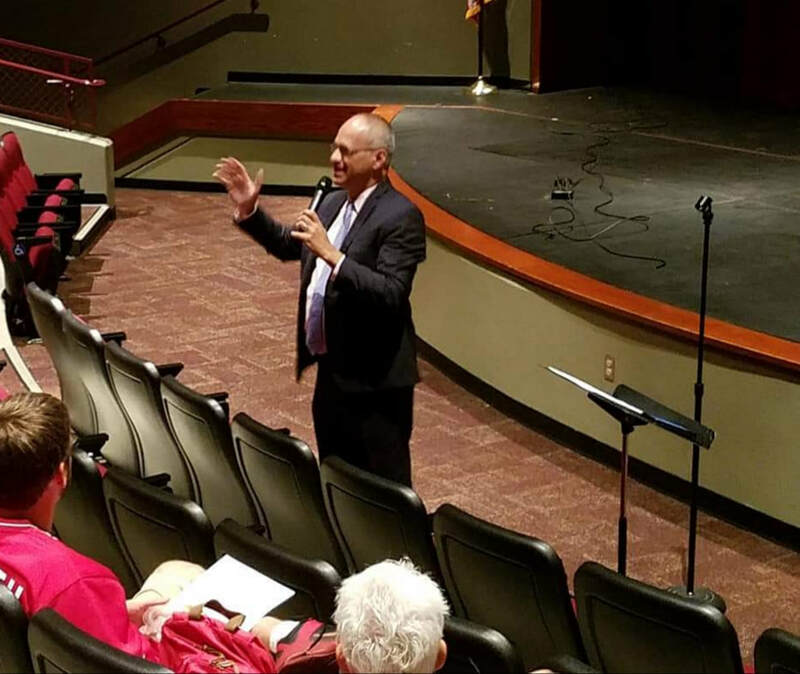 The event started off in the Union HS theater with a keynote address from MMEA President, Brian Reeves. Mr. Reeves shared with East Central 7 information from the music association as well his thoughts on music. "Even if everything is going right, teaching is a difficult job...but it is so worth it"
"There will be difficulties, there will be challenges. I encourage you not to shy away from those challenges. 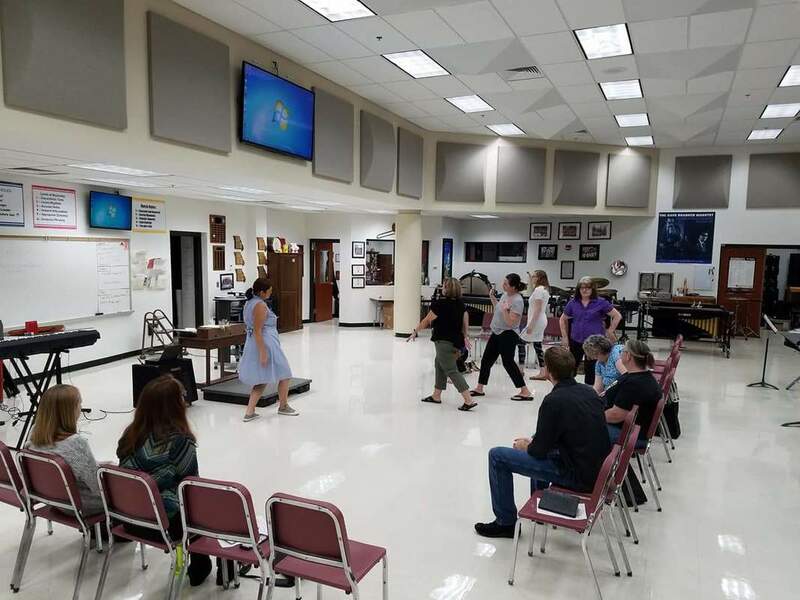 Meet those challenges head on because there is a sweetness on the other side that is incredibly rewarding"
Following the address from Mr. Reeves, the music educators broke up to attend area specific professional development clinics. A panel discussion on various ways to improve classroom management processes in the music classroom was held. Darrell Boyer, of De Soto HS, presented his clinic on "Building your Brand, and Your Band". 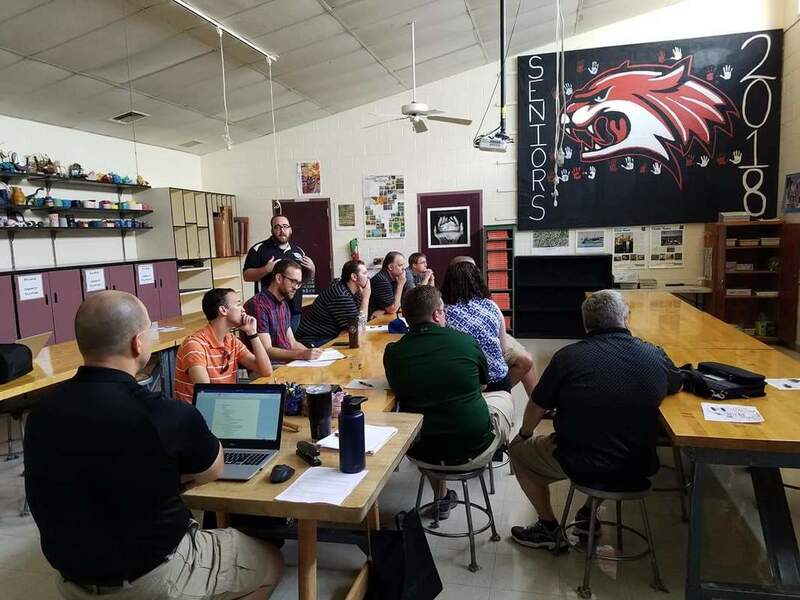 In this session band directors discussed effective strategies for building support for a program and advocating for the needs of the band program. In one of the Elementary music sessions, Kelly Biser gave a clinic on Dalcroze Eurythmics. Chris Boemler, from Festus HS, provided a clinic on Teaching the female voice from the male perspective. Samantha Boyer shared FREE Web 2.0 technology tools that educators could utilize to enhance their classroom. She also shared specific ideas on how each attendee could best use each tool within their program. Another technology session was presented by Caitlyn Stevenson on flipped classroom teaching and its use in music education. The event concluded with lunch provided by Stanbury Uniforms and prizes that were raffled off. Thank you to all of our presenters and attendees for making this another successful event! We look forward to seeing all of you again next year. Please consider filling out the feedback form below so that we can continue to make improvements to better serve our local members. A huge thank you to our Sponsors that help to make this event possible every year and to Union HS for hosting! Breakout Sessions will be offered twice so that everyone will be able to attend 2 of the sessions. H.S. /M.S. Band (or Choir)- "Build your Brand, AND your Band"
Everyone knows that your personal Image is important, but how many of you consider the image of your band? Does your band have it's own image or identity? Why is it important? Build your Brand, and your Band will cover recruiting, retention, and working with administration to help build your program. Choral - Teaching the female voice from female perspective and male voice from male perspective. Elementary- Why Flip Your Classroom? ALL Areas - Panel Discussion - Classroom Management - This works for us….What works for you? Discussion questions will be provided and accepted from the attendees. Band, Choir, Elementary Meetings- led by V.P.’s. Discuss dates, audition procedures and anything else for the good of the group. This is a good time to meet and greet and share information with new teachers to the district and go over any new procedures. All are invited to the Rice’s House for an afternoon social. We have an inground pool and parge deck - come enjoy the water, the sun and the conversation! Register for this free event! 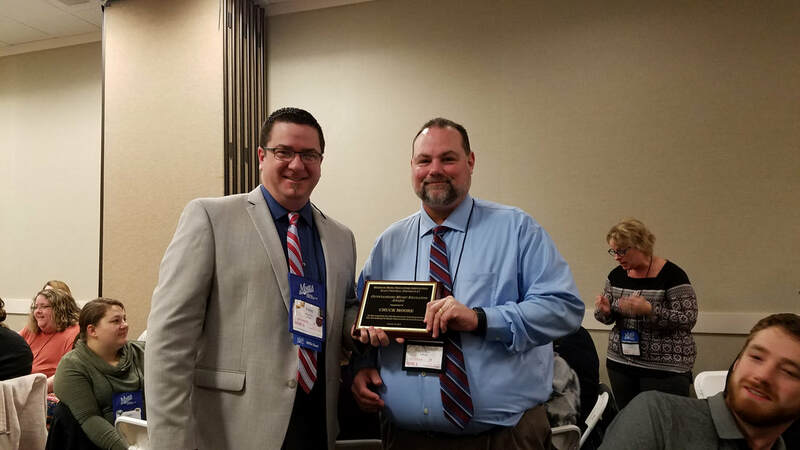 Congratulations to the 2018 East Central Music Educator of the Year, Ron Sikes! Keynote address: "Why We Do What We Do"
The Levels of Musicality are a hierarchy of needs in the performance based music classroom. I developed this strategy along with help from my colleagues David North and Cassie Rice to help students (and teachers) prioritize the most integral parts of learning to perform successfully as a young soloist or in a school ensemble. Much like Blooms taxonomy (but not really), or Webb's Depth of knowledge have uses in the traditional classroom, it is necessary in the performance based music class to remind and focus musical priorities in the classroom. Having priorities allows students to focus on individual skills within the rehearsal/practice session in a logical and successful order. There will be digital resources available to print and use in your classroom as well as presentations on how it relates to Standards based teaching and grading, power standards and non-negotiables. Presentation will have first hand experiences from Band and Choir directors who have used this for 5+ years and anecdotal discussions on how it can be modified to fit your program permanently or situationally. H.S./ M.S. Band or Choir- CHARMS- This presentation will be an overview of Charms Office Assistant and how it's being used in area music programs. What is Charms? Charms is an all-encompassing office assistant, ready to go to work when you are. Charms keeps track of all your student, member, and adult information such as email addresses, phone numbers, what group they are in, their grade, and lots more. Charms can organize and make sense of your library, and keep track of your inventory, equipment, props and uniforms. Charms knows who turned in their form, who missed practice, where they stand or sit, how much they owe on their trip, and who still hasn't turned in their uniforms. H.S. Choir- Sight Singing- The high school choral breakout session will be sight reading based with Patrick Dell from Hermann HS to lead our clinic. 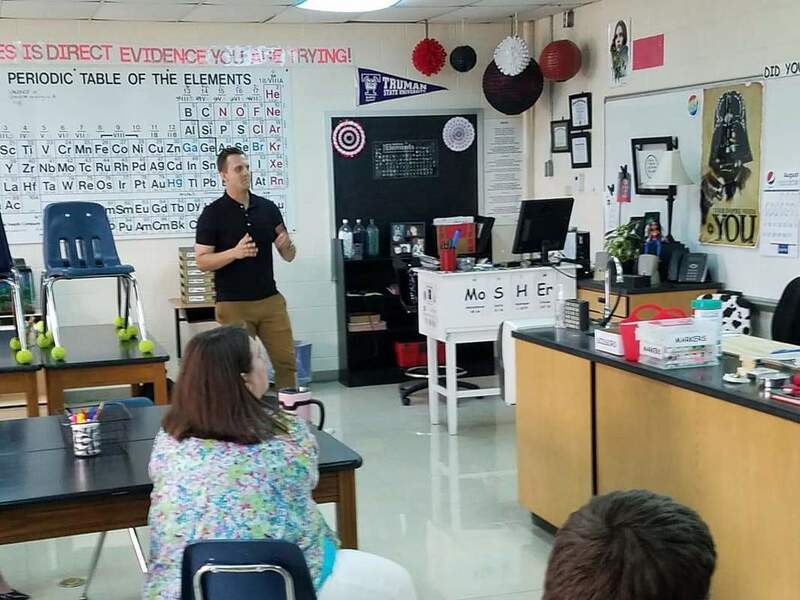 Mr. Dell has a process of teaching his students that has shown great success. His choirs receive Exemplary ratings in sight reading every year. His women's choir performed at the MMEA conference in January. He has been a clinician at the MCDA conference and is a great resource for all directors. K- 12 or Elementary- Engaging activities that you or a guest teacher can use to help your students understand Solo, Duet, and Trio etc.These activities will work for students in K – 6th grade. Zin Zin a Violin by Lloyd Moss will be used to get our brains working. Come ready to sing, play, dance and work with teams. K- 12 or Elementary- (If you need) 'theme and variation' lesson writing a variation using technology Bring your computer or chromebook. Fun time for students 5th and up. 12:15 pm Lunch provided. Head to your respective meeting and enjoy lunch while your group meets! 12:30 pm Band, Choir, Elementary Meetings- led by V.P.’s. Discuss dates,audition procedures and anything else for the good of the group. I thought this would be a good time to give out information to new teachers to the district and go over any new procedures. As an example, this is the first year for the Middle School band audition and that could be useful to give out information and line up judges. 1:15 pm E.C. District #7 Executive Board meeting and wrap up. At the annual East Central #7 meeting at MMEA, three outstanding music educators were recognized for music excellence. Congratulations to Joe Pappas for being recognized as the East Central #7 Music Educator of the Year. The East Central music community appreciates your tireless efforts to help, not only the the music students of East Central, but also your fellow music teachers.